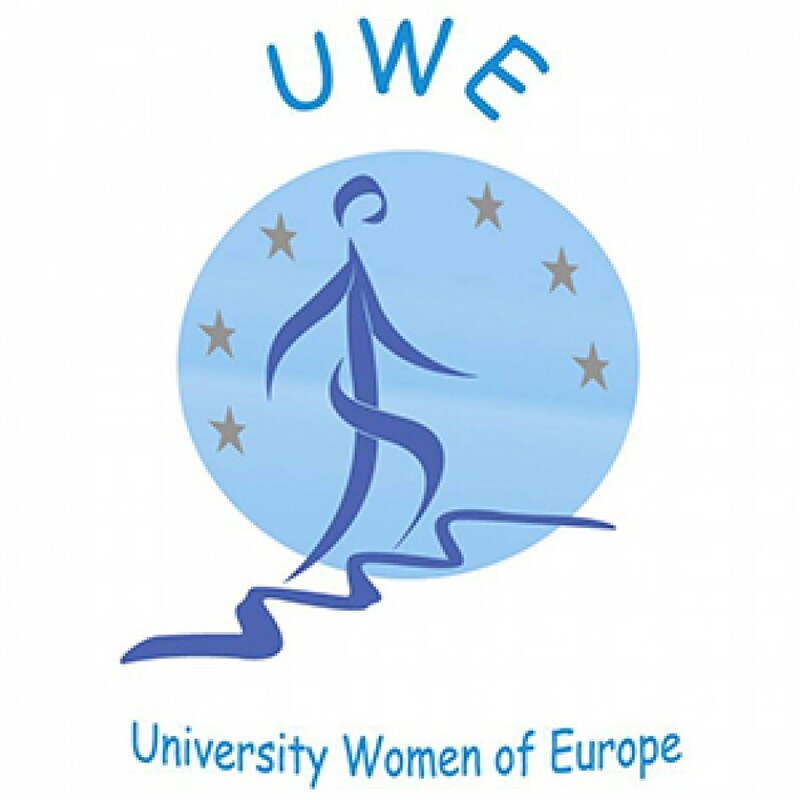 This entry was posted in Uncategorized and tagged 2018 UWE AGM & Conference in Rome, Fildis. 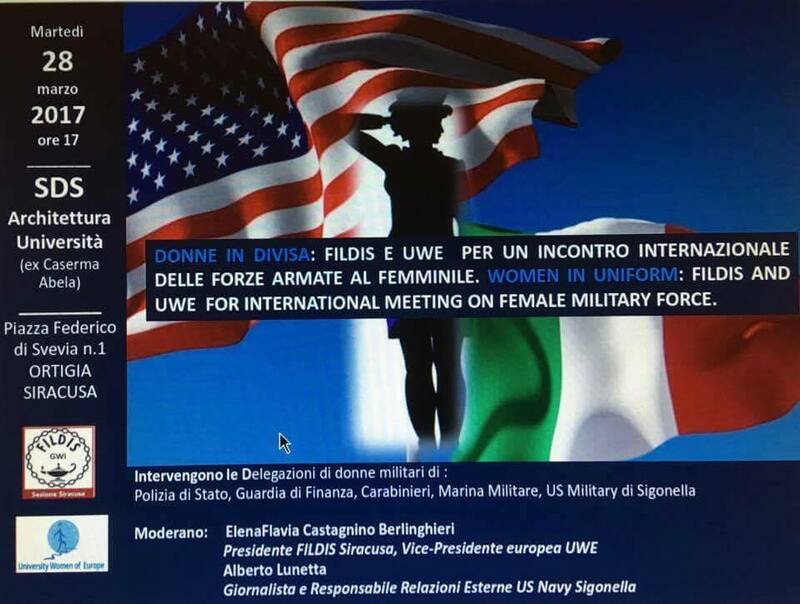 A meeting “Donne in Divisa” (Women in uniform) organized by FILDIS and UWE, hosted a delegation of US Navy and US Air Force women and a group of Italian military women belonging to the Armed Forces and the Police. The event, which is part of the International Women’s Day celebrations, was held at the Syracuse University of Catania – SDS Architettura Università on 28 of March, 2017. 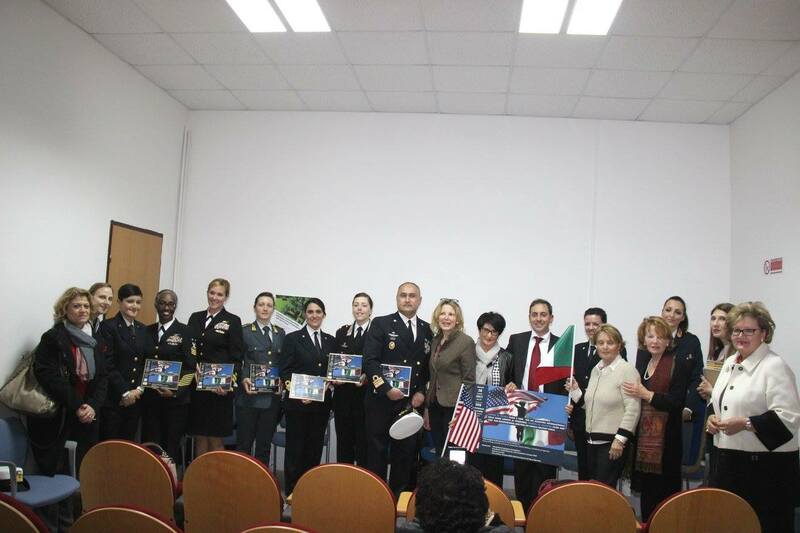 The Naval Air Station (NAS) Sigonella Military, from the NAVSUP Logistic Command and the Remote Pilot Aircraft Group of Air Force aeronautical, and the group of Italian military women belonging to the Armed Forces and Order (State Police, Carabinieri, Guard of Finance) shared their professional experiences during a moderate round table by UWE Vicepresident Phd. 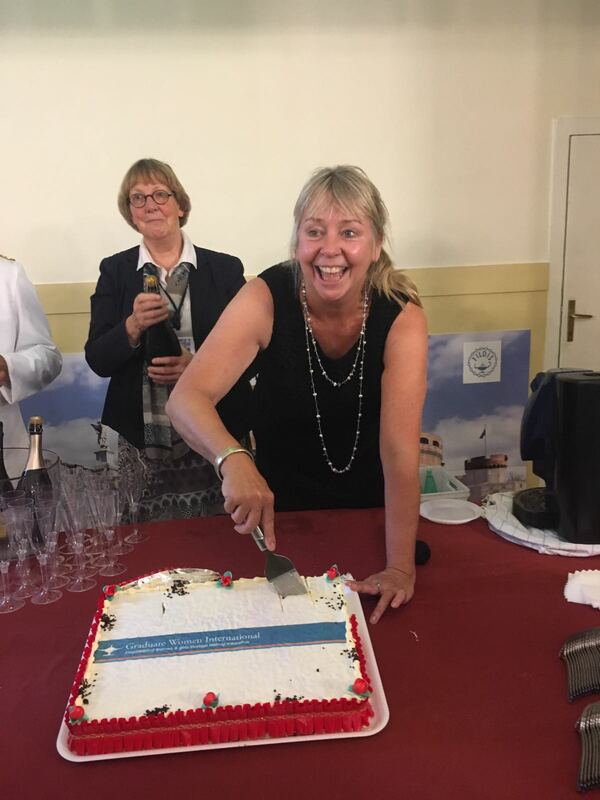 Elena Flavia Castagnino Berlinghieri and the Head of Communications at NAS Phd. Alberto Lunetta. The entry of women into the Armed Forces and the Guardia di Finanza aims to answer the female aspirations and the needs of the Armed Forces. As claimed by the Ministry of Defence, women’s recruitment is in fact the implementation response of a new model of defence, in line with the new tasks and operational scenarios envisaged for the Armed Forces (increase in international missions, peace keeping activities),which is a completely professional and fully integrated tool with those of the European and NATO countries that have, for a much longer time, been female staff in their queues. In this respect, the publication NATO Women in the NATO Armed Forces, published in 2000, is a very useful reference term. The event, whose purpose is to make the role of women in the armed forces more widely known to the public and to offer ideas for reflection and inspiration on leadership and managerial style, and on how to reconcile work and family, was addressed by Phd. 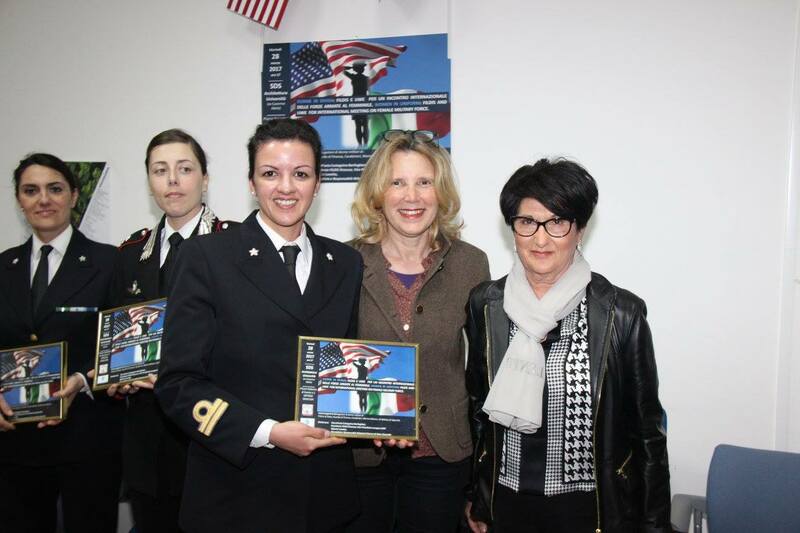 Gabriella Ioppolo, Questore of Syracuse and the delegations of military women of State Police, Guardia di Finanza, Carabinieri, Navy Military and US Military of Sigonella. This entry was posted in Uncategorized and tagged donne in divisa, Elena Flavia Castagnino Berlinghieri, Fildis, SDS Architettura Università, Syracuse University of Catania, UWE, women in uniform. FILDIS “Far vivere la memoria, flusso di conoscenza attraverso le generazioni”. in Italy, (edited by Jessica Maffei). anti-discriminatory culture (by Fiorenza Taricone). how we can build a creative mutual way communicating differences. On the last day, Sunday 25th , will be a full day for tourism. sixty years;  • On October 22, 2014, a delegation was received in Papal Audience. or political opinions", so they can best express their talents. forming of groups of volunteers. recognition of women in key positions of power management. of Cassino, Southern Lazio - is dedicated to the history of FILDIS from 1922 to 1992.
during the past 20 years, until now. We could proudly say that the Constitution is an example of mature democracy participatory. cooperation school - family for their children and their families. 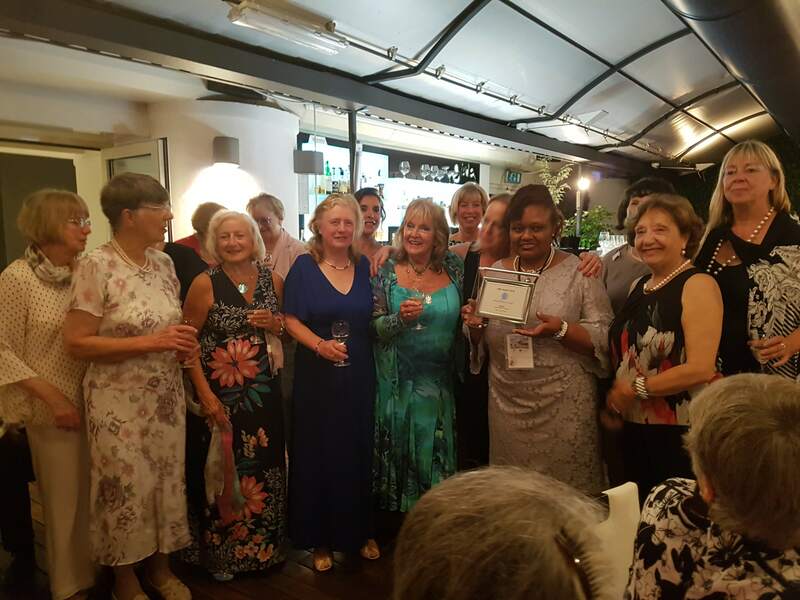 presidents of local branches and former National presidents. there is a local branch FILDIS. In the current year - 2015 - the statutory meetings are held in Pavia. 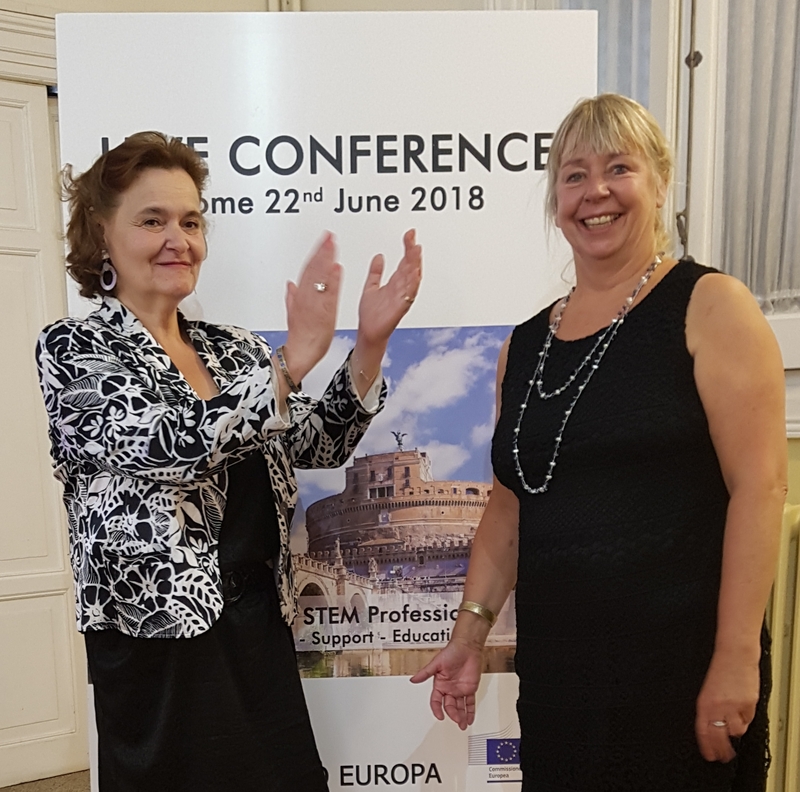 This entry was posted in Uncategorized and tagged conference, Federazione Italiana Laureate e Diplomate Instituti Superiori, Fildis, GWI, UWE.